Over the past ten years Patricia Pyne has established a reputation as a stylish and creative photographer. 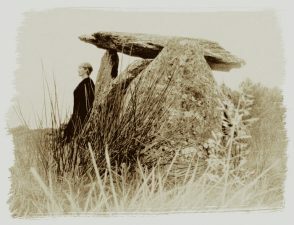 Best known for her evocative interpretation of the natural world and for her striking images of the stone circles, dolmens, ring forts and sacred sites of Ireland, her work also features a variety of photographic subjects including portraits and landscapes. An honours graduate of Queen’s University Belfast in Medieval and Modern Languages, Patricia pursued a career as Head of Languages at Victoria College Belfast and later Tutor in the Graduate School of Education at Queen’s. A longstanding interest in art and, in particular, photography as an artistic medium led her to take up photography as a personal adventure. She trained at the Belfast Metropolitan College, gaining top honours and first place in the UK in Advanced Art and Design (Photography). Bringing to her work a European dimension and a multiplicity of skills and talents, she was awarded the distinction of Associate of the Royal Photographic Society. 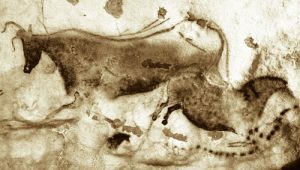 This marked the beginning of what would quickly become an all-encompassing commitment to the art of photography. 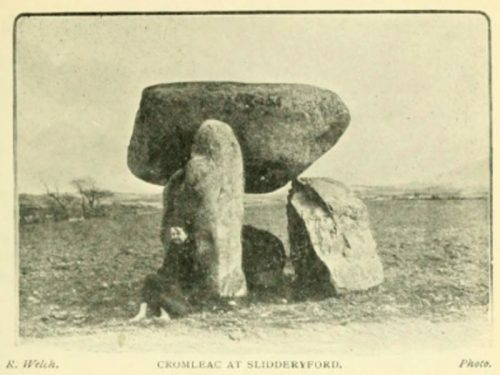 In 2014 Down County Museum commissioned a selection of early Christian and medieval sites in County Down. The results are displayed in a dramatic and thought-provoking exhibition that captures the hidden beauty of our ecclesiastical heritage. High crosses, round towers and ancient churches stand out dramatically against subdued backgrounds, recalling the pale flat skies and dark, delineated forms of early albumen prints, others pay homage to the salt print’s soft interplay of light and shade. Whilst her distinctive style and beautifully printed images in warm sepia tones may be rooted in the pictorialist tradition of the 19th century with its search for beauty, mystery and atmosphere, they also reveal a fresh and modern sensibility. Patricia’s work has been the subject of several successful solo exhibitions. 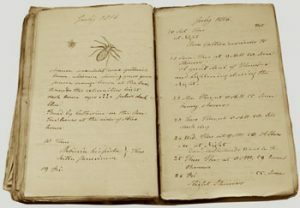 Her recent body of work, a literary and visual interpretation of the diaries of Ireland’s earliest and most eminent naturalist John Templeton (1766-1825), aroused great public interest when it was shown in 2016 in the Ulster Museum, Belfast. A traveller, writer and committed gallery visitor, Patricia has an extensive knowledge of the history of photography and an understanding of its place in modern visual culture. She plays a key role in the promotion and exploration of photography as an art form and has gained wide recognition for her work, receiving commissions from private individuals, businesses and public bodies. Her pictures have been exhibited to critical acclaim and can to be found in private and public collections at home and abroad. Megalithic and early Christian sites on permanent display in the Visitor Centre at Rademon Estate Distillery. IN THE FOOTSTEPS OF ST PATRICK, exhibited in Down County Museum 2016, now on show in National Museum of Archaeology Warsaw Poland. 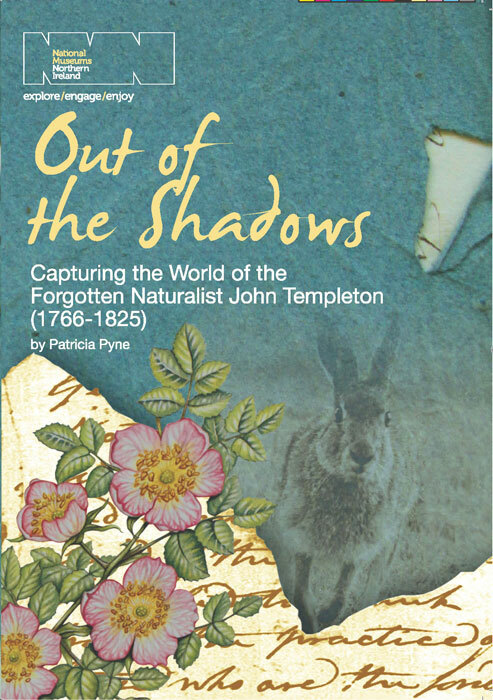 OUT OF THE SHADOWS: CAPTURING THE WORLD OF THE FORGOTTEN NATURALIST JOHN TEMPLETON (1766-1825) by Patricia Pyne, exhibited in Ulster Museum Sept – Nov 2016, will tour to local museums and libraries from early 2017. ‘A remarkable sestercentennial exhibition that retrieves his legacy.’ The Irish Times. To view, please go to Gallery and click on thumbnail.